Almost every American will have to take out a loan at some point in their life, including those of us who avoid debt like the plague. While obviously the best thing you can do for yourself is to keep things like student loans to a minimum, for some of us it can be hard to get a college education without them. Also for most of us, we have to mortgage homes instead of paying for them in full with cash. A critical component for the future of your finances is making sure that you get the best interest rate available to you. Part of locking down a great interest rate (a huge part, actually) is making sure you have a good credit score. Your interest rate determines if you’re going to be saving or overpaying by thousands or even tens of thousands of dollars over the life of your loan. Your credit score is calculated based off of the information included in your credit reports. 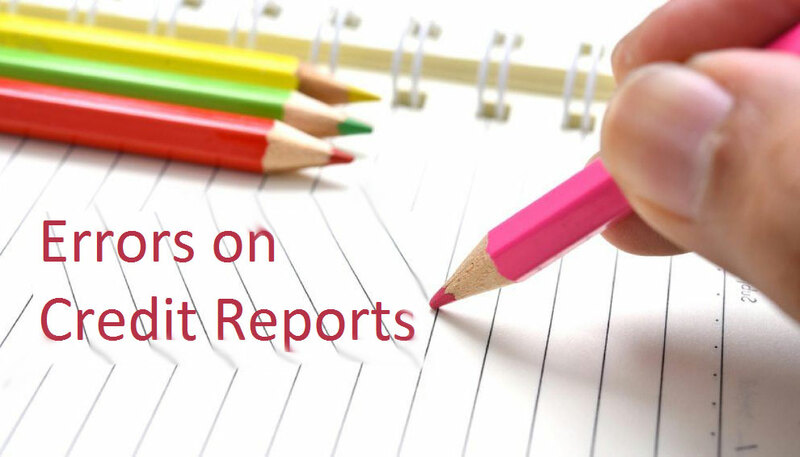 The problem is that all too often credit reports have errors in them. The FTC has done studies and discovered that as many as 5% of consumers are receiving credit scores up to 25 points or more lower than they should be due to errors on their credit reports. The best thing you can do for yourself is to request your credit reports and comb over them yourself for errors. If you did not already know, you can (by law) request a copy of your credit report from each of the bureaus, completely for free, once a year. You should do this, and check for the following common errors. While you may know your social by heart and never mistake it when filling out documents and paperwork, that’s not the case for financial employees who deal with tons of different numbers each day. Incorrect social security numbers on credit reports is actually an extremely common error that can result in serious side effects. You don’t want your credit reputation being tied to someone else who maybe delinquent on payments or have terrible credit in general. Just over 33% of your entire credit score calculation comes from your payment history. Missing just one or two payments is an easy way to tank your credit score. This is all the more concerning when you learn that it’s unfortunately not uncommon for credit card and loan companies to accidentally apply your payments to someone else’s account. While it is a simple fix on the financial side of things, the fact that it initially showed as a missed payment is enough to negatively effect your credit score. The first thing you’ll want to do is to start reviewing your credit reports to make sure this hasn’t happened to you. If it has, you’re going to need to work through the process of correcting this. You’re going to want to get copies of the payment receipts and any checks you may have used. You’ll then have to coordinate with the credit bureaus to make sure they update your reports to reflect the new status. You might think that having your address be wrong on your credit report wouldn’t be as big a deal as having your name or account numbers wrong, but it is definitely a big deal. Having an incorrect address could result in details on your reports being combined with the details of someone else’s report. The last thing you want is to have your name tied to a property that is in foreclosure or worse when you really have nothing to do with that property. Also, a lot of insurance companies and other businesses use your address to judge how wealthy you are. If you live in a ritzier part of town they made feel comfortable with trying to charge you higher prices for their services. If your name is incorrectly tied to an expensive property you could be gouged on pricing for services that otherwise would be reasonably priced for you. You should also ensure that you remove previous homes from your reports so you don’t appear to be so wealthy that you own multiple homes. A very obvious thing to make sure is that your name is not being completely wrong or misspelled on your credit reports. Beyond that, if your real name is Thomas you’ll want to make sure that it says Thomas and not “Tom” or similar on your reports. This is not really a mistake. In fact, this would be considered theft of your identity. This would be something like when someone uses your name, social, etc to get a credit card or loan in your name. You’re on the hook for their spending, while they reap all of the benefits. If this has happened to you, the easiest way to tell is to check your credit reports. This should list ALL accounts related to your name, whether or not you actually opened them. If you see something that does not gel, you can freeze these accounts and investigate. Did you know that you can actually change your social security number too? It can be a pain to change all of your accounts to a new number but sometimes that is a safety measure you need to take. If you take one thing out of this article it should be to start checking up on your credit reports yearly, if not quarterly. The best way to identity and repair a problem to to start looking for potential issues in the first place. If you never look, you’ll probably never find. Good luck, go forth and lift your credit score starting today!